"A. P. Kalganov poses with his son and granddaughter for a portrait in the industrial town of Zlatoust in the Ural Mountain region of Russia. The son and granddaughter are employed at the Zlatoust Arms Plant--a major supplier of armaments to the Russian military since the early 1800s. Kalganov displays traditional Russian dress and beard styles, while the two younger generations have more Westernized, modern dress and hair styles." 1910. 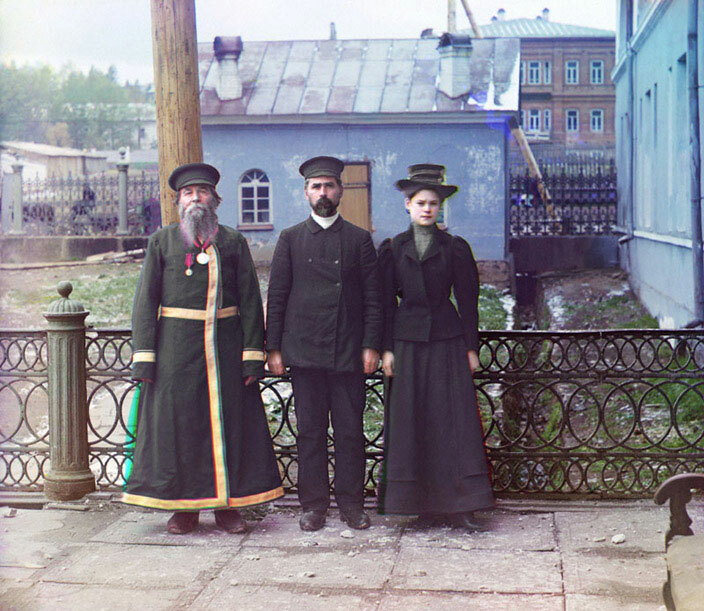 These pictures provide a record of tsarist Russia in color, and the results are stunning. Transportation, ethnic diversity, and people at work are the themes of the exhibition. 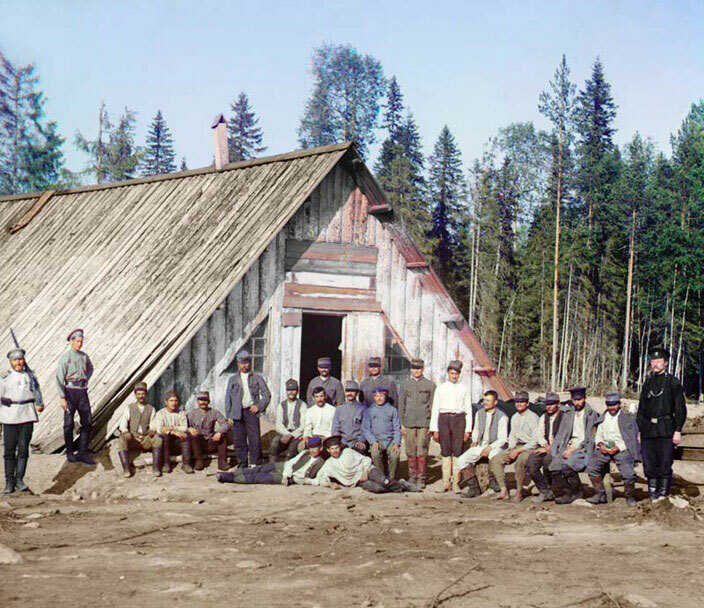 Make sure to check out the Austro-Hungarian prisoners-of-war in 1915. A land time might now remember.